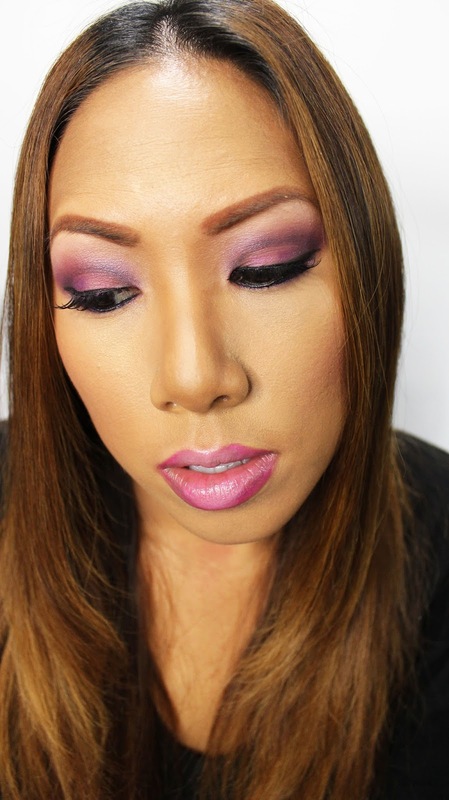 I love when you can get awesome, high quality makeup looks using drugstore products. Lately, I've been reviewing a lot of new products from L'Oreal. 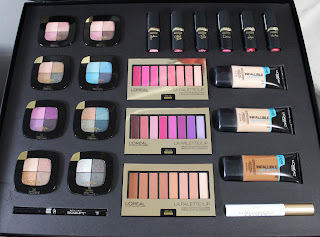 Today I decided to give you a super bright makeup look using all these products. Check it out! Check out the gorgeous colors of eyeshadow palettes $9.99! There are mix of different shades and finishes to choose from. I find that you either get a high glitter, a matte, or a satin. I found the purple quad to be the brightest so I went with that one for the look. I also filled in my brows using a brown from another palette. 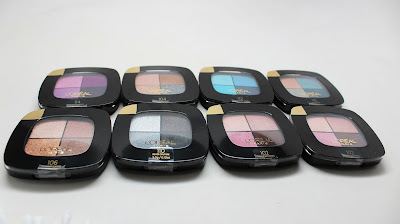 In some, the shadows are decent with medium pigmentation and pretty good blending appeal...especially great for beginners who want to play with different color combo. 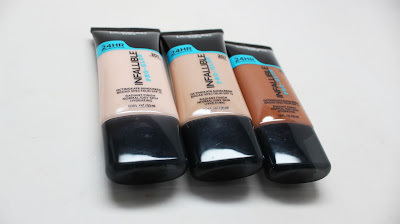 I was excited to try out the new Infallible Pro Glow foundation $12.99. Unfortunately I didn't have the right shade to choose from so I had to do some mixing. You definitely get a very dewy effect. If you wait a while, it eventually dries but I would go ahead and set it with powder so you don't walk around with that wet feeling. I wouldn't say it lasted for 24 hours, more like 8 hours. 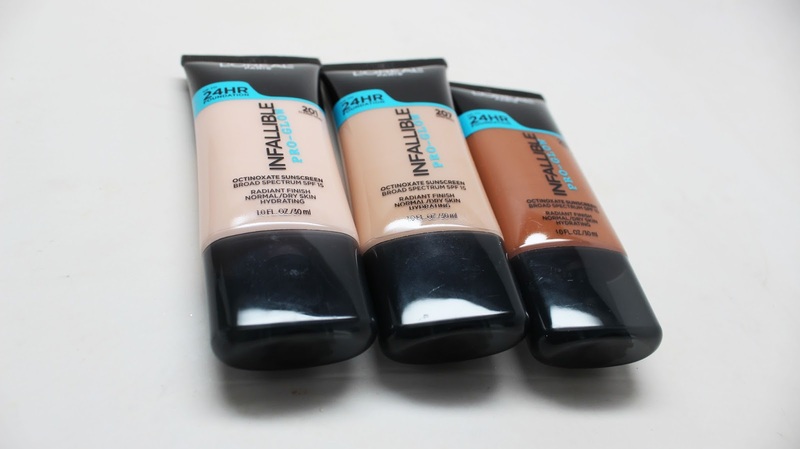 This is a great, affordable option for those of us who like a moisturizing,dewy foundation. 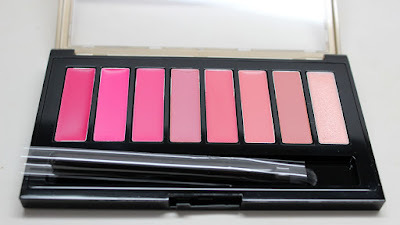 Next up I created a custom pink lip using the L'Oreal Colour Rich La Palette Lip $16.99. I was able to create an obre lip using the array of pinks...they are super creamy so don't overload on the product. Definitely use the supplied lip brush to get a clean application. I've been in the market for a new liquid liner. 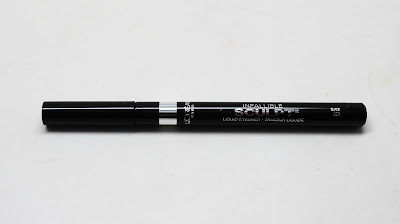 This is the brand new Infallible Sculpt Liner $9.99. It's got a really interesting feature - the tip is a ball. It's supposed to give more control to line. The black formula is really dark and long lasting, but the round shape does take getting used to. I think I may be an old school regular liner shape girl. 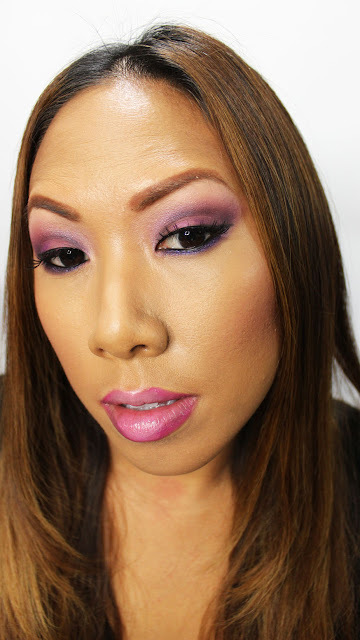 Check out the bold application of color on the eyes and lips. You can easily recreate this look using L'Oreal items from your local beauty aisle. Enjoy!